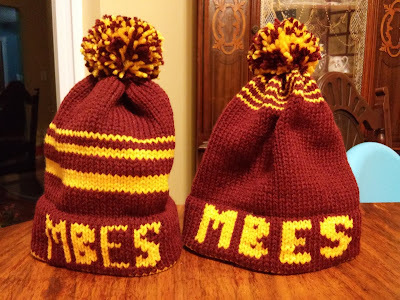 I added the pom pom on the first hat and then I quickly made the second one with slighter letters! 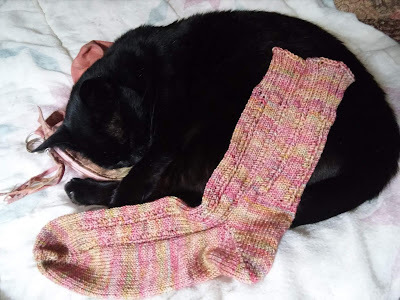 It's so nice to really knit one in no time at all. now to make a decision for the borders! 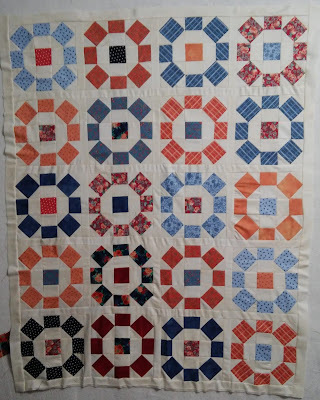 I will cut more of the pink in slightly wider strips for the outside borders. knitting on the Sunday Swing sock while holding my little Lena! Aww, Lena looks comfy in that photo. Your projects are progressing nicely - love the owls. The owls just get cuter and cuter. But Lena is the cutest! Way to go! You will be cranking out hats faster than the littles can lose them! Or at least, that's what always happened in our house! Great end to a great day! Those owls are just too cute!!! 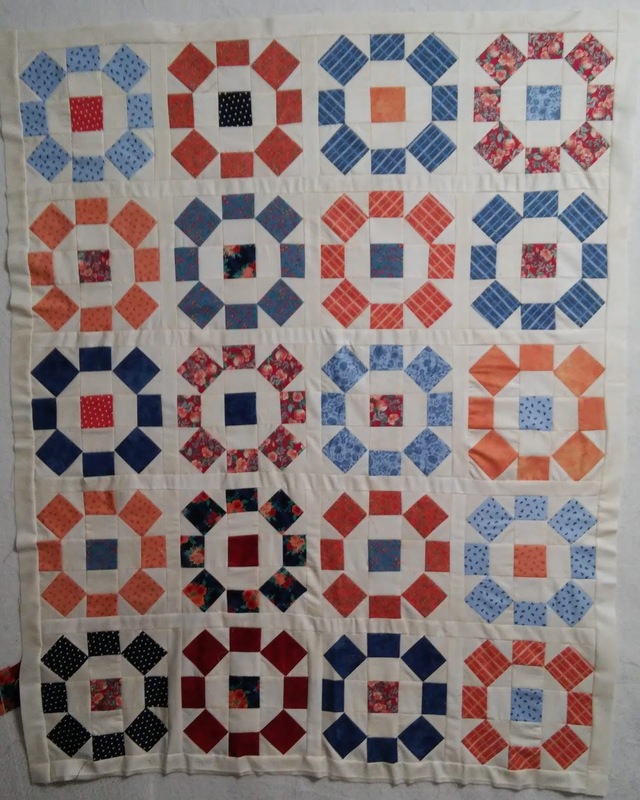 It reminds me so much of something my great grandma-the original family quilter- would make. I love it. 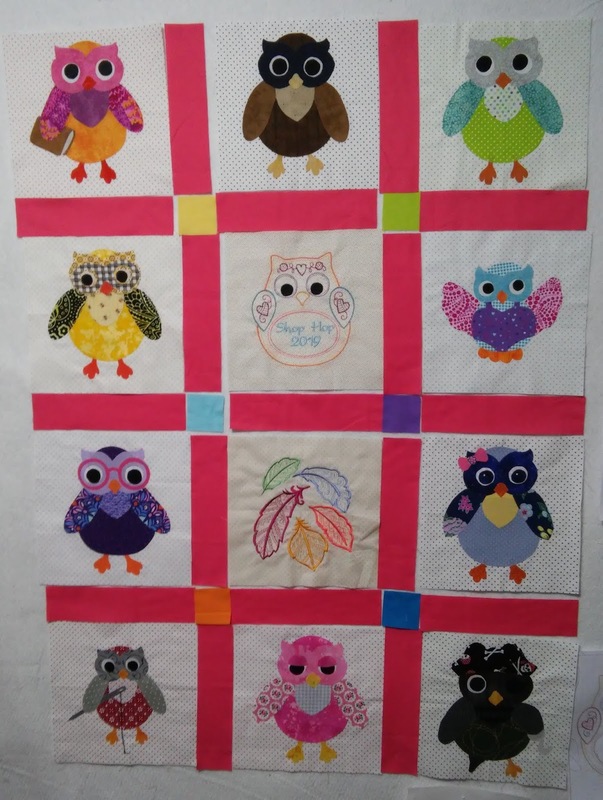 The quilts are both cute. Those owls are adorable! 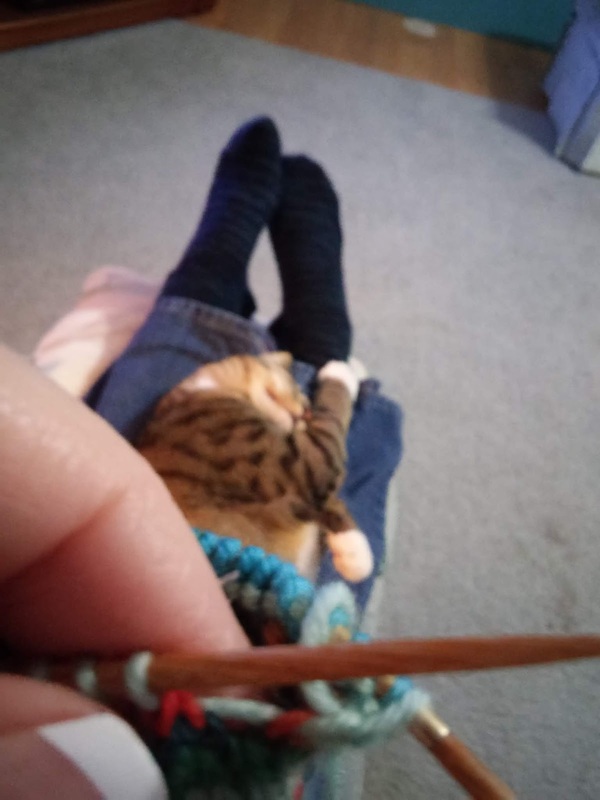 There are few things as peaceful as knitting with a cat on your lap. Earth Day Survey… GO Green! Which Way Did I Go?